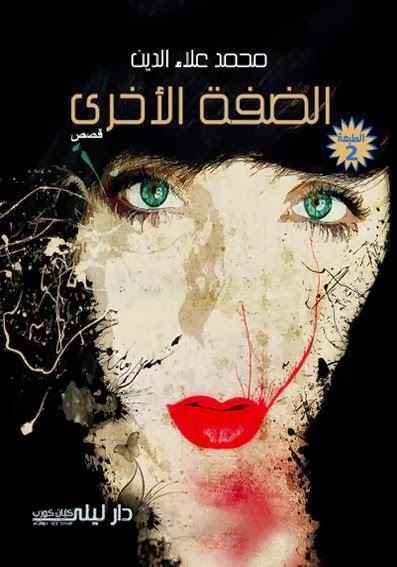 الطبعة الثانية من الضفة الاخري. When I was in Tahrir Square, in the midst of the January 25 revolution, I heard this song coming from the stage made by the revolutionaries: "Kneel your head, kneel it kneel it, you are in a democratic state." This one with its whole ironically, with simple lyrics and tone, has always stuck in my memory, thinking about what happened back then. I saw this young singer, with the long hair, singing it enthusiastically on his guitar, cheered by thousands of listeners. 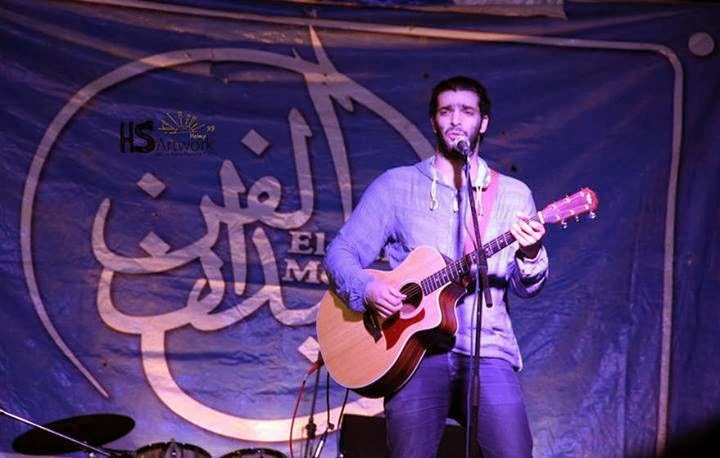 I knew after a while, that young singer named Rami Essam, and that he came from Mansoura, a city in the Nile Delta, on the 30th of January 2011, to join the strike in Tahrir. I knew he had formed a band – I never heard of it before seeing him – called Mashakel in 2008, and that he studied architecture. That field is considered prestigious for Egyptian people, but he left it for art, which many consider, either in Egypt or outside, as waste of time. Rami has sung another song called "Irhal" (Get Lost) in Tahrir as well, and he went on singing it until Mubarak left on 11th of Feb. 2011, but it wasn't the end for all evils, especially for Rami: he got arrested and tortured by the Egyptian army during a strike in March 2011, which was using the Egyptian museum as a touring camp back then, as he mentioned in a testimony published online: "A group of soldiers dragged me towards the museum’s building and handed me to army officers who tied my hands and legs up and started kicking me all over my body and face. Then they started hitting me on my back and legs with sticks, metal bars, wires, and hoses. After that they brought the electric taser that was used in demonstrations before and used it on various parts of my body, then they started using more than one taser at the same time. The officers insulted me and stomped with their feet, jumped over my back and face, and threw shoes in my face. Then they cut my hair (it was long) and put my face in the dirt before burying my body neck down." Essam was later awarded the Swedish Freemus award, which considered him "A real embodiment of the active role music has played in the Arab Spring." He performed in South Africa, the United Kingdom, Sweden, and Germany, and Irhal was named by Time Out London as the third in the top one hundred most influential songs to have affected humanity. Rami is continuing his artistic and revolutionary march since he has his band on, whose songs always dealt with the simple Egyptian man. Being a young man himself, he always worked with young new lyricists like Amgad El Qahwagi, who presued in his album Manshourat, which was launched on the first anniversaryof the revolution, and his mini-album album, Al Masala, in June of the same year. Rami extended his consideration to another famous revolt of the Arab Spring, the Syrian Revolution as he dedicated a single to them called "Breaking News" in the same year. In an interview with an Egyptian newspaper, Rami said he considered "The Patriotic Songs" as "such songs which doesn't glorify regimes, but always countering injustice and be on the side of the regulars." You can always see him in all of the revolutionary event, as Ithadiya and such, either as a singer with his guitar, or as a protester with his bare arms. Rami has continued opposing the Ikhwan rule which came after Mubarak, which was more like the NDP but with a light cultivated beard, producing songs like "The Ikhwani Creature" or "Mursi Meter", refering to The Egyptian deposed president Muhammad Mursi of the Brotherhood, who Rami didn’t "recognize as a president," as he said to an Egyptian online journal. Rami was there, on the street I joined opposing the Ikhwani rule and its minister of culture, Alaa Abdul Aziz, singing on the stage we fixed before the Ministry of Culture headquarters, declaring that "30th of June would be a black day for the Ikhwani regime." No wonder as the electricity was cut at his Suez concert, and members of the Brotherhood engaged in fights with others, when Rami sung against the Supreme Guide El Murshid of the Brotherhood, in April 2013. Rami continues to engage with the Egyptian reality after June 30th, as he has always insisted that the revolution is against both Military State and Religious State. "The direction Egypt is going in now is not good for me,"and “We will not live in freedom, we will not find any social equality.” As he told albawaba.com editor, saying he can't write songs anymore. For some, and I am among them, a calling like "The Revolution Singer", mixing art with politics is always a hard game to play, and might harm the art itself. While some could not consider Rami as a real singer outside the political realm, and some would consider his music and vocal as avant garde as compared to more classical approaches, Rami's music will always remain as one of the important icons of the Egyptian revolution, which sought bread, freedom, and social justice. A SHORTER VERSION WAS PUBLISHED IN MTV’S REBEL MUSIC, AND IN THE THE EPISODE BASED ON THE ARTICLE. YOU CAN SEE IT HERE.